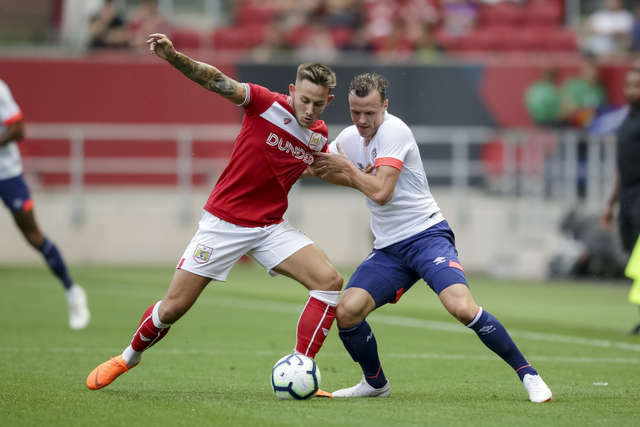 Joshua King on target as unbeaten pre-season continues with draw at Ashton Gate. 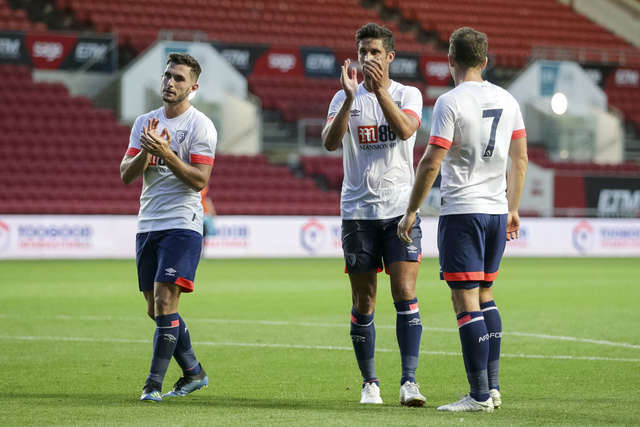 AFC Bournemouth continued their unbeaten pre-season campaign with a 1-1 draw at Bristol City on Friday night. 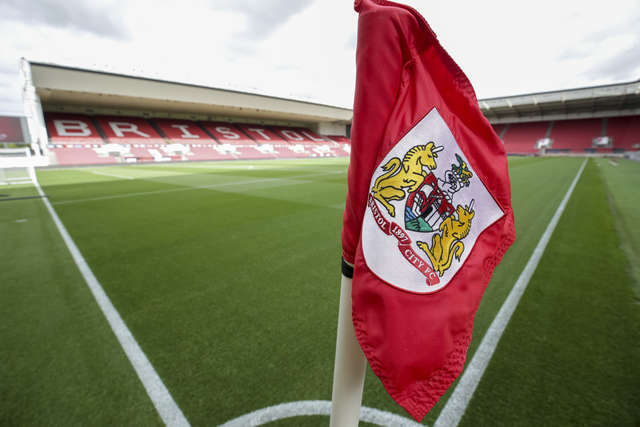 Both goals came in the first half at Ashton Gate, as Joshua King’s impressive long-range effort was cancelled out by Robins forward Andreas Weimann. There were chances at either end in an engaging encounter. 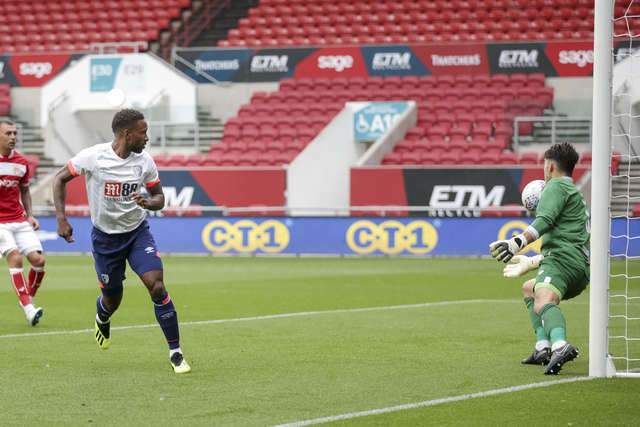 Jermain Defoe threatened on a handful of occasions for the visitors, while at the other end Asmir Begovic was called into action as City posed problems. 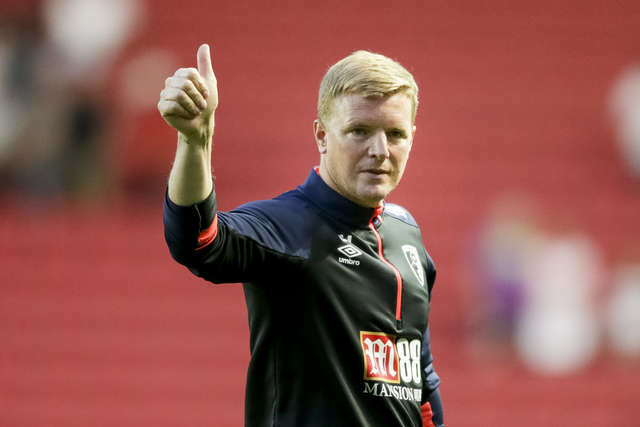 But manager Eddie Howe will be pleased with another positive outing for his side, as they face a quick turnaround with a trip to Nottingham Forest on Saturday (3pm kick-off). 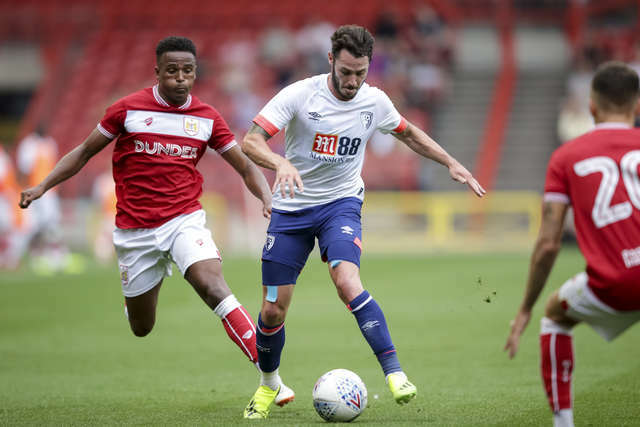 The Cherries made a strong start to proceedings and only an incredible save prevented them breaking the deadlock inside the opening seven minutes. 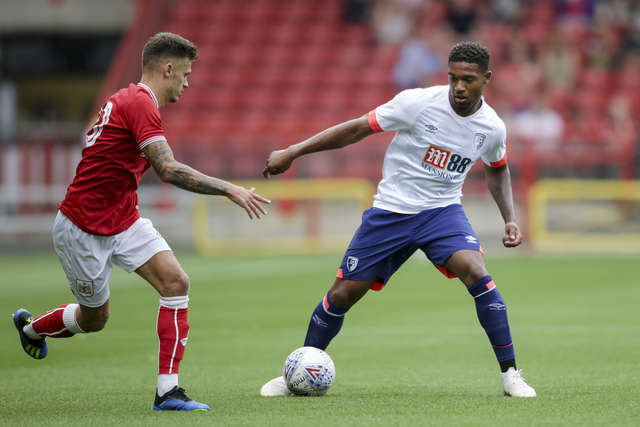 Jordon Ibe’s disguised pass released King, and when his cut back found Defoe three yards out there looked to be only one outcome. 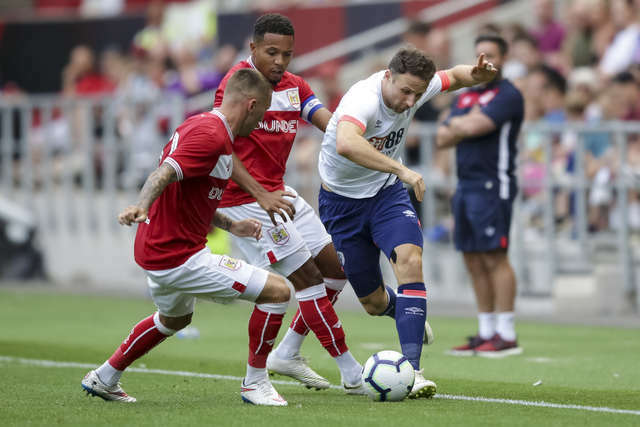 However, City keeper Max O’Leary had other ideas, pulling off an outstanding point-blank block to deny the England international. But they didn’t have to wait too long and finally took the lead in the 15th minute. 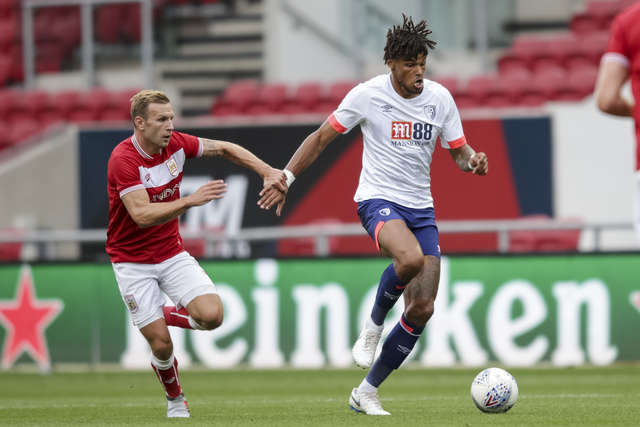 Tyrone Mings’ long ball forward saw King out-muscle Robins defender Nathan Baker, before composing himself and pulling the trigger, sending a low 20-yard strike flying past O’Leary. 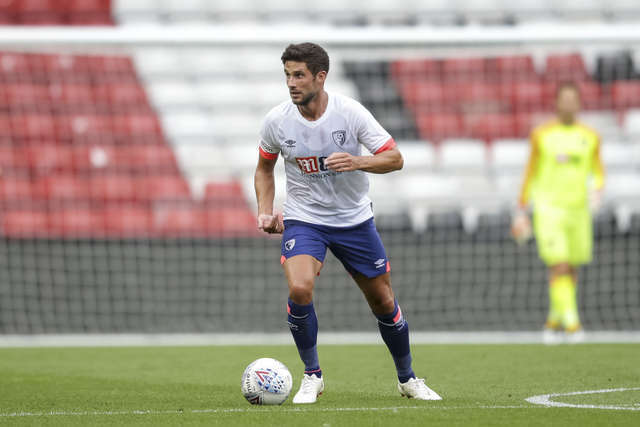 The hosts responded and Jamie Paterson was given time and space in the centre of the park to stride forward but, fortunately for Bournemouth, fire a shot narrowly the wrong side of the upright. 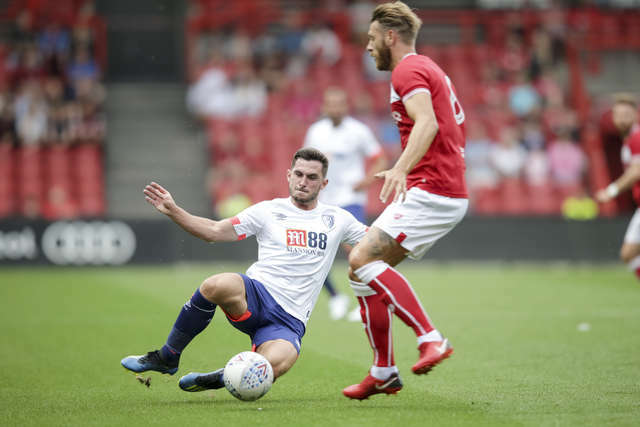 Andreas Weimann was next to try his luck but the former Aston Villa and Derby County man hooked wide under pressure from Mings. 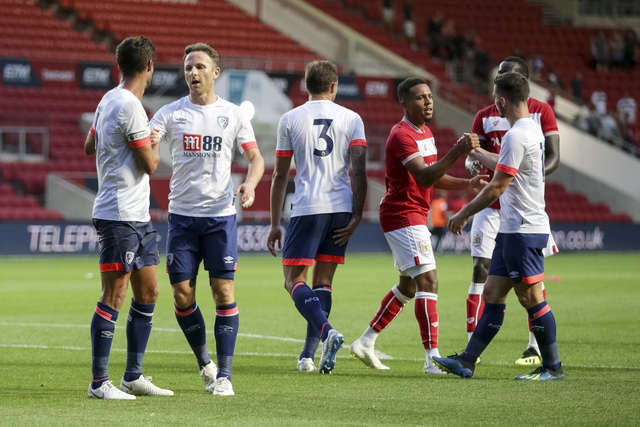 However, Weimann levelled things up shortly before half-time, prodding home from close range after Jamie Paterson’s cross found him unmarked at the far post. 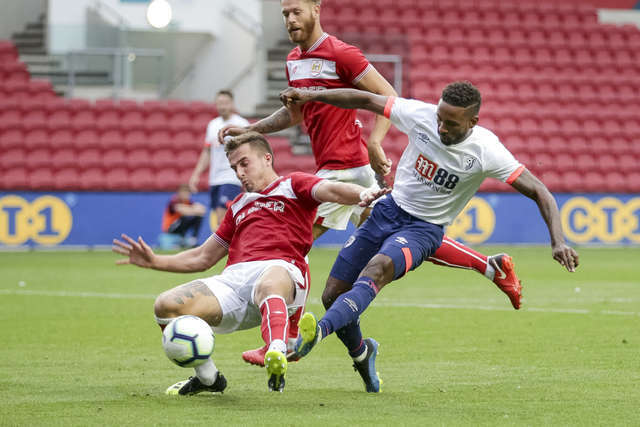 Early in the second half, Defoe was denied again, this time by full-back Joe Bryan’s block as he tried to squeeze home an effort from close range. 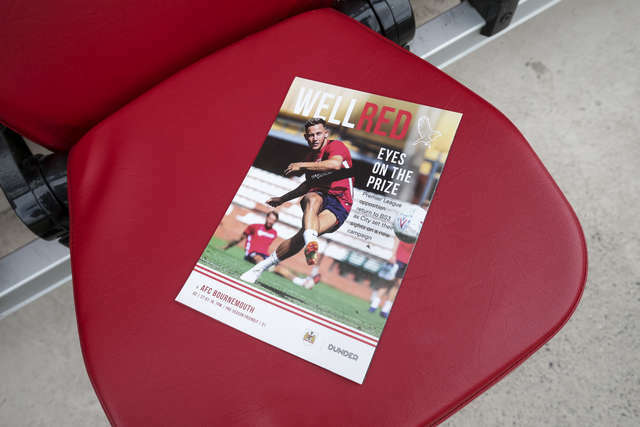 While at the other end, Weimann was inches away from heading City in front when he connected with Niclas Eliasson’s pin-point cross. 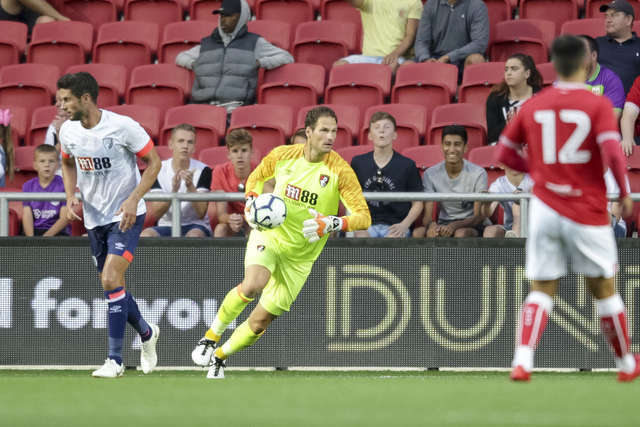 On 68 minutes, Asmir Begovic kept the Cherries on terms with a fine, full-length save to stop substitute Mo Eisa’s angled drive, and the Bosnian wasn’t troubled again as the game ended in a draw. 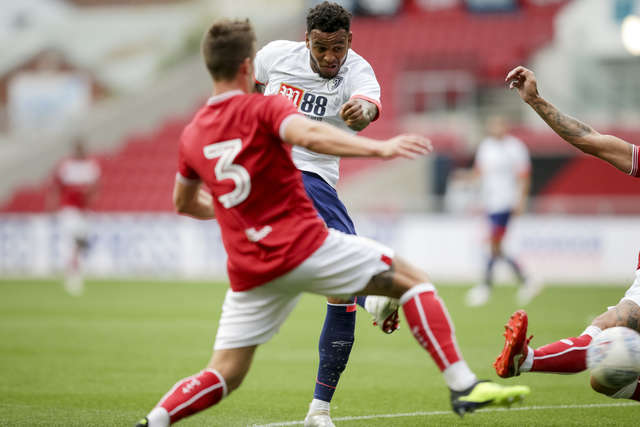 Joshua King netted his first goal of pre-season and it was just reward for an impressive performance. 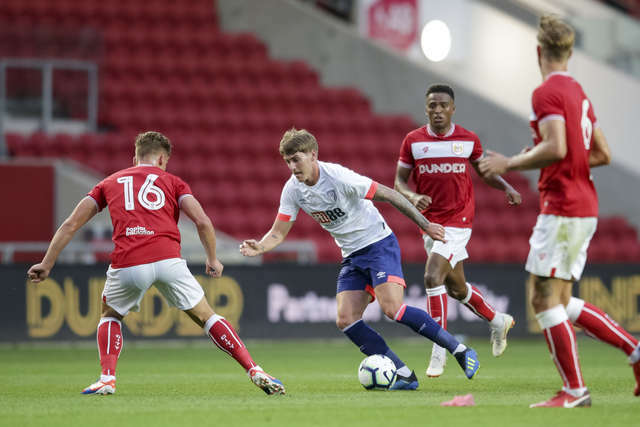 The Norwegian’s goal showcased his talents perfectly - using strength to beat Nathan Baker to a high pass, power to hold off the same player as the loose ball dropped, and then showing great composure and technique to pick his spot from distance. Throughout his appearance, King was a constant menace to the City defence and on another night could have added to his tally. It was a display which bodes well for the man who has netted 25 goals over the last two campaigns. 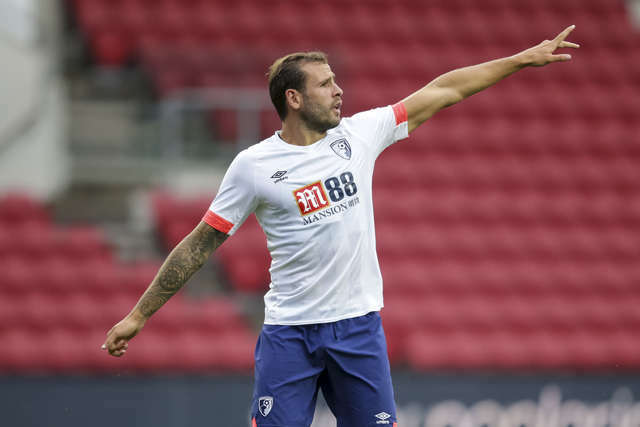 After a couple of 45-minute outings for most of the Cherries’ squad against Sevilla and Levante, Friday’s friendly saw the majority of the starting line-up push their match fitness to the next level. 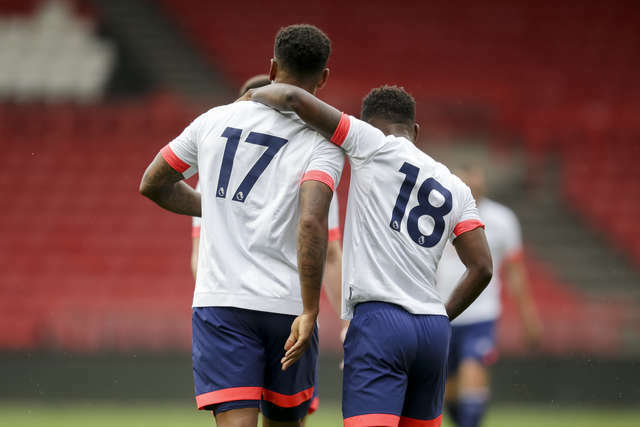 Jermain Defoe and Brad Smith were replaced on 73 and 82 minutes respectively but, that aside, the remainder of the team got the full 90 minutes under their belt. 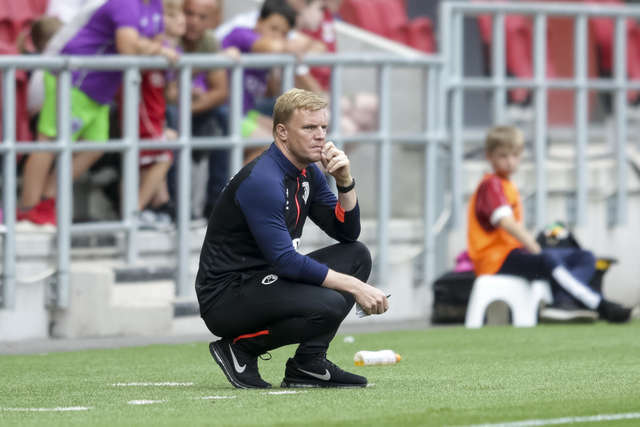 With the start of the Premier League season just a fortnight away, it was much needed, and showed those double - and triple sessions - over the early weeks of pre-season are certainly paying off.